The beauty of swapping “I dos” is, for many of us, an experience we’ve been dreaming about for a long, long time. And, typically, one of the first things we consider is the setting we’d like it all to go down in. Naturally, one of the major steps in the wedding-planning process is choosing the perfect wedding ceremony and reception venue. With the ever-growing number of alternative wedding reception ideas on the table, the task of making your selection is a lot more complicated than it used to be. If you and your boo, like many couples, are looking for some place other than a chapel to get hitched in, it’s a good idea to have a helpful list of wedding venue insider tips at the ready. 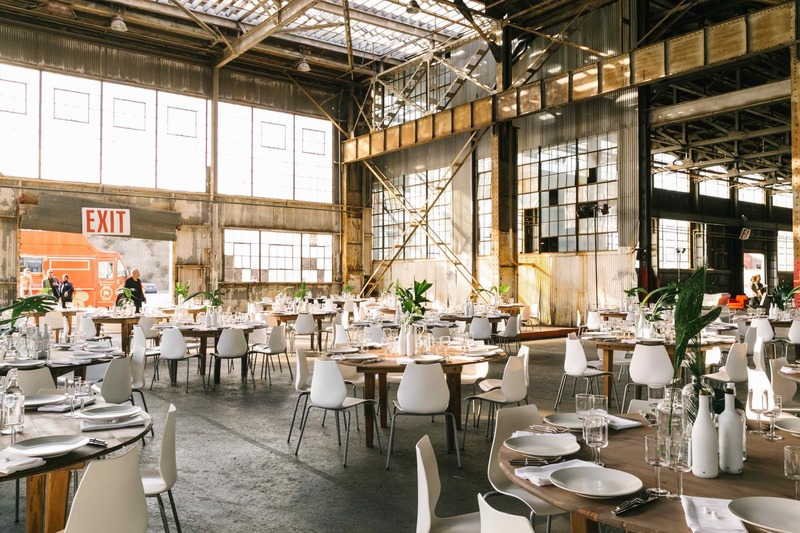 You know how we feel about being helpful (hint: we love it), so we hit up some of the best sources in the biz to get the inside scoop on what to love and what to leave when it comes to wedding and reception venues. If your budget is the main component driving your decision making, you definitely have some options for getting creative with your wedding venue. “Consider a bed & breakfast, a public park, or an art gallery for your reception. Places that don’t typically host weddings may not have the same exorbitant prices as those that are well-known for being wedding venues,” says Casey Slide from Money Crashers. A perfectly rustic reception idea that when executed properly can have a glamorous payoff, but it takes work. “A tent is a space you build from the ground up that will require you bring in power, heat, and loads of decor,” says Smith. “I have worked in almost every kind of wedding venue out there; on literally a blank piece of land, to a 700 year old monastery in Spain, on the beach in Mexico, or a super modern art gallery in San Francisco. What suits your personality? If you are not a ‘rustic’ or outdoorsy person and don't want to be walking in the dirt or grass, then I would really consider something that has a ton of options, spaces, and is concealed,” continues Smith. When it comes to barns, the team at Design Haus has some insights to share. “Some barns have heat and A/C systems and some just do not. Watch out for this when considering barns for winter and summer weddings. Living in a city like NYC, it's always nice to take your guests on a getaway from the lights and blaring sounds of the city- so that's a pro!” says Kurun. As in your own (rented) Island. Extravagant, maybe. But, with shared economy ideas on the uptick, there are a number of inventive ways to find some pretty indulgent places to say, “I do.” Airbnb is our go-to source for out-of-the-box destinations and wish list of private islands is aspirational yet actually rentable. Hey, we’re always up for going the extra mile. And, when it comes to the wedding planning marathon why not put in an extra lap or two for the perfect wedding venue? Help us do our job better.